Odd Future’s front man Tyler,the Creator is an ever evolving musical marvel that is wise beyond his years yet the poster child for juvenile deliquence.It takes a rare kind of intelligence to challenge the norms of hip hop,fashion and manners. Tyler is often found making brash statements during interviews while keeping his sexuality and sobriety ambiguous.He is in the mecca of the mainstream yet authentically creative.This isn’t accidental,the 26 year old started the rap group Odd Future ten years ago alongside sustaining a successful solo career,fashion label and a music festival. Flower Boy is easily Tyler’s most impressive album yet and one of the most exciting records of the year. It is a sophisticated,refined and cohesive arrangement of tracks that compliment each other.It is much more accessible than his previous work which evidently really works for him.His tendency to rub some people the wrong way has been due to exclusivity and seemingly gratuitous offensive lyrical content that lacks apology. As somebody who appreciates inaccessible hip hop I have always been fond of Tyler.That said,he has reduced his intelligence and talent in the past by running improvisational lyrics about cheese and highly produced content about stabbing Bruno Mars. He is been under fire for making blatantly mysongynisic and homophobic lyrics which he has always promoted as ironic.This is believable due to Odd Future being one of the few hip hop groups with two queer members and the fact that he is clearly intelligent. In lieu of this intelligence he recognized that being questionably bigoted is getting old and decided to execute the highly meditative Flower Boy. The album is gentle,lyrically vulnerable and musically evolved.It delivers a diverse arrangement of hypnotic melodies and radical self exposure. It is sonic dreamscape that is relentlessly charming.It’s fragile like a summer afternoon yet as real as the internal struggles he is finally revealing. It wavers between wildly triumphant to incredibly mellow. It certainly contains that unmistakable rough and rogue Tyler flair yet he has fine tuned his particular brand of mischievous. It is as if he is responding,but not apologizing to the feedback he has received through these liberated lyrics. Lil Wayne,Estelle and A$AP Rocky are featured on the record amongst an arsenal of underground artists. On the track Forward he raps “Shoutout to the girls I have led on,for occasional head to keep my bed warm and trying they hardest to keep my head on straight” which is followed by “I have been kissing white boys since 2004”. This has caused quite the internet storm towards questioning his sexuality,which we all know he won’t clarify which makes him even more interesting to the masses.The gorgeous track Garden Shed plays like a daydream and encompasses that hip hop ease we miss in Digable Planets or Slum Village. My personal favourite song on the album Boredom is about the relatable paradoxical nature of desolation in the summer. 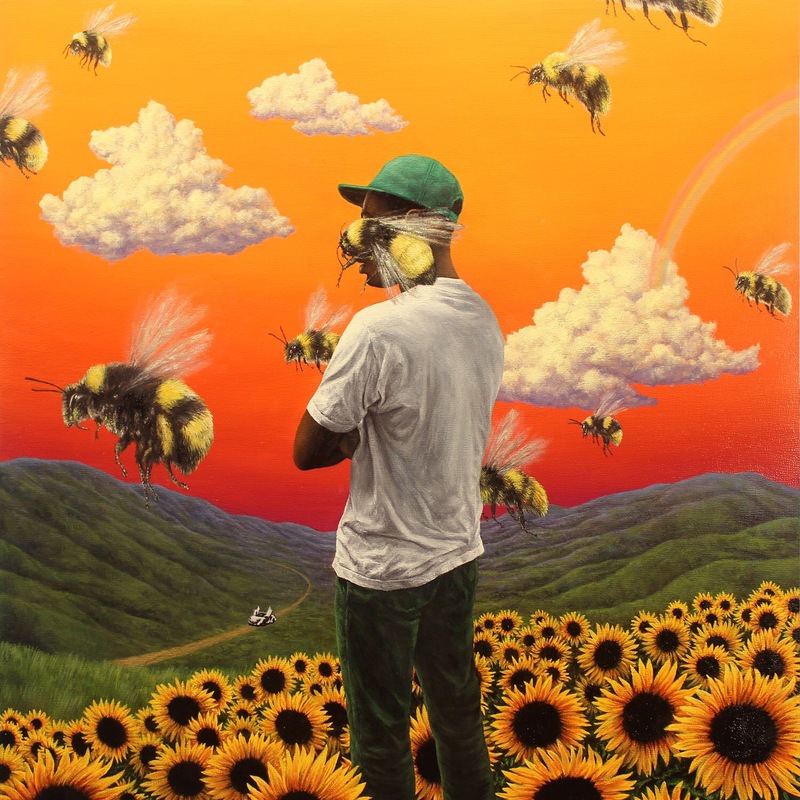 If you have ever questioned if Tyler,The Creator is rarely talented or just some entitled punk,Flower Boy definitely suggests it’s the former.